What do you think of when considering improving your operations? 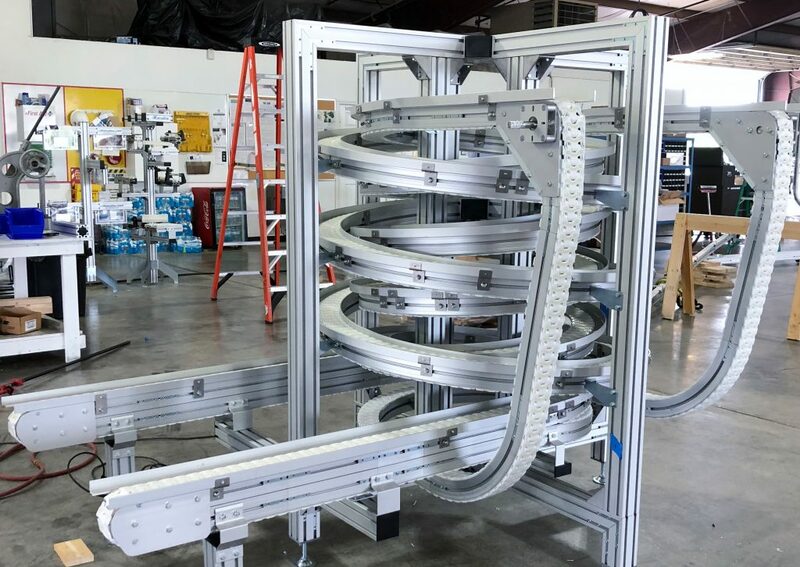 If you are seeking a way to maximize floor area, you need a better conveyor to handle your product, look no further. Carryline USA brand of spiral conveyors provides solutions for conveyor business needs and we want to be the ones to help you. Carryline USA brand is the name behind our customizable spiral conveyors. We introduced Carryline USA in the United States in 2012 and we want you to experience our innovative design in spiral conveyors. Though its start is fairly new for us, the history of the innovation by Carryline goes back over 50 years! Our spiral conveyor will bring better material handling solutions and offer an improvement in the workflow for vertical elevation changes. They are highly customizable with a range of package handling options to suit your needs and save valuable floor space. Spiral conveyors are a worthwhile investment with benefits that expand beyond the machine itself. The smaller spiral footprints are less than 3 feet of square space. They expand floor space for your manufacturing facility while minimizing costs of maintenance. Who wouldn’t want added floor space? 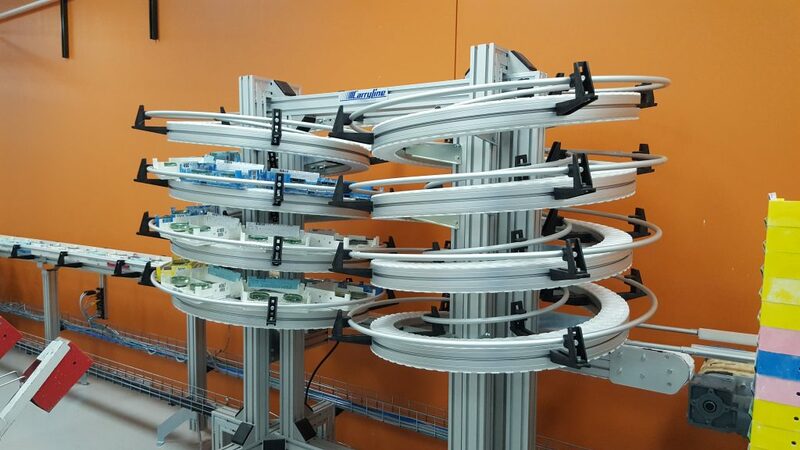 You can have a customized spiral conveyor and increase the efficiency while maximizing your investment. Carryline USA delivers customizable options for small to medium packages. We offer various chain options and accessories to enhance efficiency to your daily operations. They perform great with minimal maintenance. They are efficient, small and customizable. You will see the added value on your floor and your pocket too. Look for more information on the customizable options we offer in upcoming posts. We will show you more on these revolutionary designs and how they can help you achieve more efficiency and added value to your business operations. With many years of combined experience in conveyor designing and implementation we will meet your expectations. From initial project consulting through to the installation, we are there through the entire process. We can help you make the most of your material handling system. With a phone call we can get started customizing your new Carryline vertical spiral conveyor. We look forward to going to work for you! Please, give us a call and be a part of the Carryline USA family!